This is my son Matthew. Today is his 18th birthday. I can’t believe it. I can still remember the day he was born. It was a bitter cold day in Topeka, Kansas. I remember that the evening ended in a blizzard. His birth was an emergency C-section because he was breech. He was our miracle baby. Not only was he breech he also had the cord wrapped around his neck. Laura had beta strep and pre-eclampsia. The doctor told us we were very lucky and that we better enjoy him because we would not be able to have more. It was really wild being new parents, but Laura remembers a baby crying in the nursery and she knew it was Matthew. The nurses could not calm him, but they brought him to Laura and immediately she started singing to him and he calmed down. In the womb Laura had sung to Matthew and wrote a song she sang to him. He still loves to have her sing his song to him. I can’t believe he is 18, but he is a great boy and we love him with all our hearts. The holiday season was so busy, and the new year has not slowed down much. I am sorry I have just not been in a blogging mood. I am now ready to get back at it. I have been working on my plans for the year and setting goals. My goal is to blog every other day. I have been having some great things happening lately and some divine meetings. I met today with a new contact and had a great time. I met last week with several new folks and had awesome visits with them. The really good news is that each of these meetings are going to produce something great. I am pumped and ready for 2009! Comment and let me know how your 2009 has started. If you need a little boost then join us Thursday night January 15, 2009 with our special guest, Randy Mayes from The Success Coach Network. 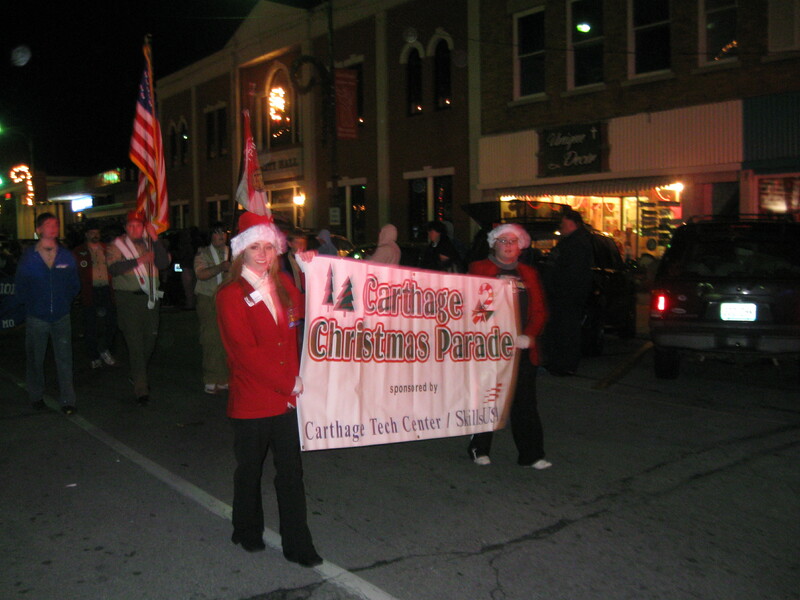 The first Monday of December is the Carthage Christmas Parade. It was a cold evening, but nice. There were hundreds if not thousands of folks around our beautiful Carthage Square all anticipating the parade. MY award for 1st place entry is to Paul’s Electric Motors. What a beautiful float they made. It was like a winter wonderland on wheels. Thanks Paul’s Electric Motors! There was lots more. The kids had a great time, bands, media, twirlers, tractors, and the end was Santa Claus on the back of a fire truck. I thought it might be a good idea to start sharing some of our authors articles on Fridays. I would like to introduce to you Chuck and Bea Mercer. 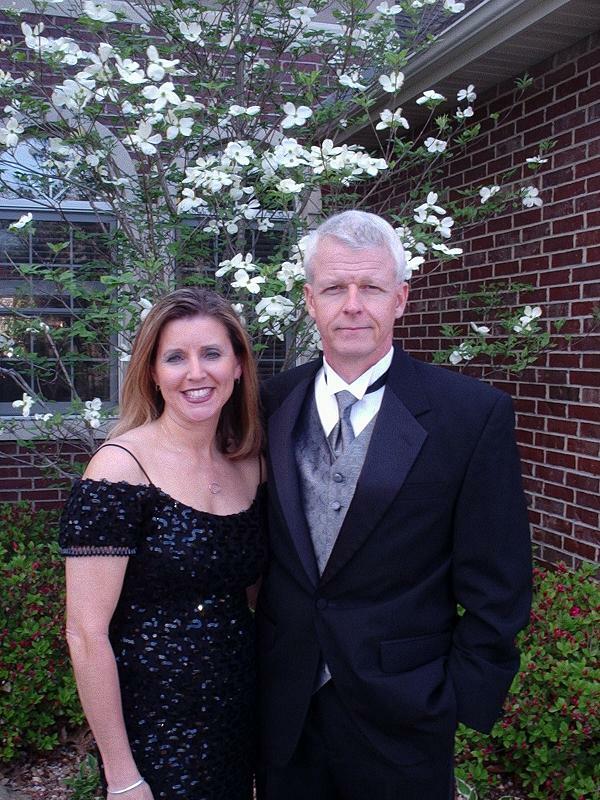 The Mercer’s business isCAPlus (College Assistance Plus) of the Ozarks is a Christian based organization that is dedicated to helping families find the best college education for their student, and getting the best financial package possible. I happen to have a 17 year old son who is a Senior this year at Carthage High School. We have been talking about college and his options, but sometimes it is hard to know where to start. Chuch writes has written an article for Kingdom Business Journal that I would like to share that may give you help if you are in the same predicament. Today we received another “distress email” from a parent of a student who will begin their senior year of high school in a few days and mom is feeling the inevitable pressure as the family begins to consider the many variables of college selection. Words such as “confusing” and “overwhelmed” seem to be common in the many emails, phone calls, and contacts of this nature we have received over the years. With the cost of college tuition rising an estimated 7-10% per year, and students/families facing years and years of post graduate college loan debt, the process is intimidating to say the least. The average cost of transferring your student to another college is around 7800.00 and can be a logistical nightmare with transferring credits and making the physical move… again! By the way research has revealed that 1 in 3 of all college students will transfer to another school, usually in the freshman year. So the pressure is on to make the right college choice for your student and this can only be accomplished by starting the process as early as possible and being prepared to do hours and hours of research. We at CAPlus are always encouraging families/students to start the process of college matriculation early, in fact as early as the 8th grade or freshman year of high school. The free seminars we present are full of strategies and tools to help you learn how to market your student to the college of your choice, and make intelligent, informed decisions on variables such as grant and scholarship search, FAFSA, résumé’s, essay and interview skills and strategies, ACT test skills and scores, financial aid packages, and much more. The unique and vast computer database of over 3000 colleges we use here at CAPluscan sort and search on an individual student’s interests, finances, career goals, athletic and academic criteria, and identify great college choices way before the student’s senior year. With the click of a mouse we can save a family hundreds of hours of research and possibly thousands of dollars in tuition fees by finding grants and scholarships, free money that does not have to be paid back! Our slogan here at CAPlus is “Get a Degree, Not Debt” and we are passionate about helping families/students navigate the confusing waters of college selection and making a smart college choice without accruing years of post graduate loan debt. Let’s take a look at the procedure and importance of recommendation letters, a very important component of the strategy of “Marketing Yourself to Colleges”. Most colleges request that each applicant send at least one letter of recommendation with the college application. They may require that you submit a guidance counselor letter as well as another of your choosing. Teachers, youth leaders, employers, and people the student knows well make good candidates for recommendation letters. Some colleges ask guidance counselors to complete and submit a Counselor Report Form as well, so you should spend some time talking with your guidance counselor to get to know them before they fill out a form or write a letter for you. If the college does not require a Counselor Report Form, they will still need a copy of your student transcript. Let your guidance office know what your requirements are so they can ensure that your materials are mailed on time. Guidance offices tend to be quite busy during the months of December and January, so be mindful of their time when you ask for help with applications. If you give them a lot of time to complete the recommendation, you will probably get a better-thought-out letter than if you give them a week. If the college asks for a second recommendation letter, it is wise to ask a teacher. This second letter is meant to give the admissions office an idea of who you are as a person, what kind of work you can do, what your strengths and weaknesses are, and if you are truly interested in learning. The teacher shouldn’t just reiterate your grades in his or her classes; the admissions counselor can see that from your transcript. Choose teachers who know you best; English or math teachers are generally strong choices. If you indicate a preferred major or field of interest on your application, consider having a teacher from that subject write a letter for you. Choose a teacher you’ve had either this year or last; don’t choose someone who taught you three years ago. An important thing to remember about teacher recommendations: unless you have a relationship out of class, the teacher only knows you from your interaction and participation during class. If you don’t participate much in class, you need to start now. Your grades in the class alone won’t give you a good recommendation. The teacher needs to see that you are thoughtful, interested, and able to communicate. If the college does not specify that you need a teacher recommendation, consider a youth pastor, drama teacher, athletic coach, or someone who may know you very well. When you ask people to write recommendations for you, specify when the letters are due and offer to meet with them in case they have questions. Be specific about the dates. You don’t want to be denied acceptance to a college because they never received this part of your application. You can also give them a copy of your résumé so they can see what other activities you have been involved in. Many students ask whether they should get extra letters of recommendation beyond those that are required. Generally letters from people who do not know you as well as a person (i.e. the President, a Senator, bishops, etc.) are not helpful. If the college requires two recommendation letters, one from your guidance counselor and one from a teacher, and you are a proficient trumpet player, you may want to send a third letter from your trumpet teacher. Have the person writing the letter send it directly to the college admissions office, and notify your high school guidance office that they have been sent. Don’t send more than one; if you send multiple extra recommendation letters, it may annoy the admissions office. I hope that helps. I found it to be very valuable information. Tune in next Friday for Authors Friday!! I am sitting in the newly remodeled library in Carthage, Mo. 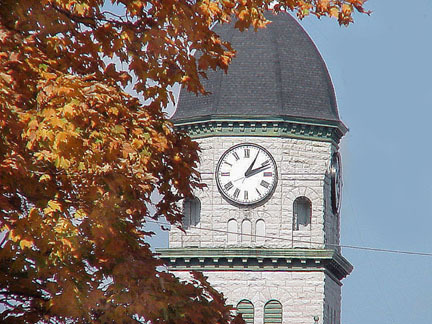 Carthage is known as the Maple Leaf City of Southwest Missouri. I was born and raised in Topeka, Ks and in 1993 I moved to Carthage, Mo with my job. 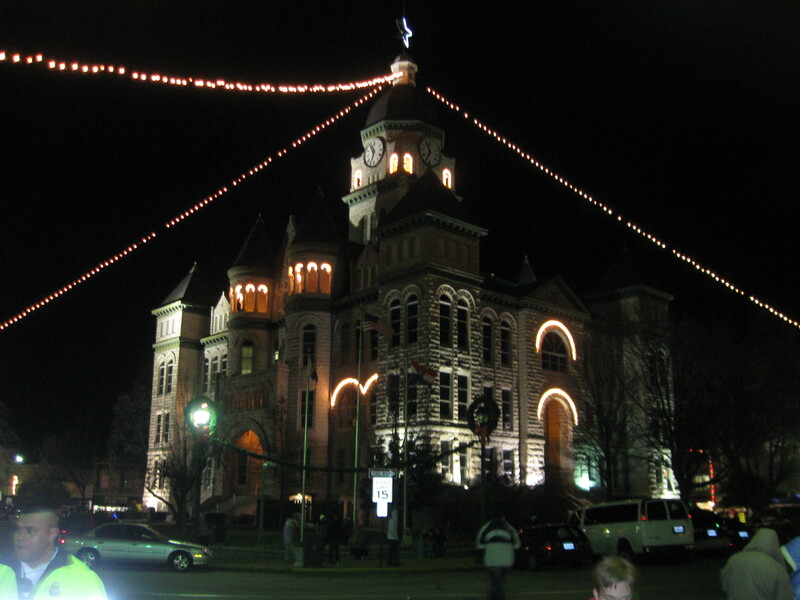 My office was in Joplin, Mo, but my boss lived in Carthage and when he invited me over and took me for a tour of the town, I fell in love with it. We moved to Carthage in the Fall. Fall is the best season of the year in Carthage because of all the Maple trees. That is why it is called the Maple Leaf City. In the fall everything is beautiful with all the colors of the trees. In the fall we have a parade called the Maple Leaf Parade. 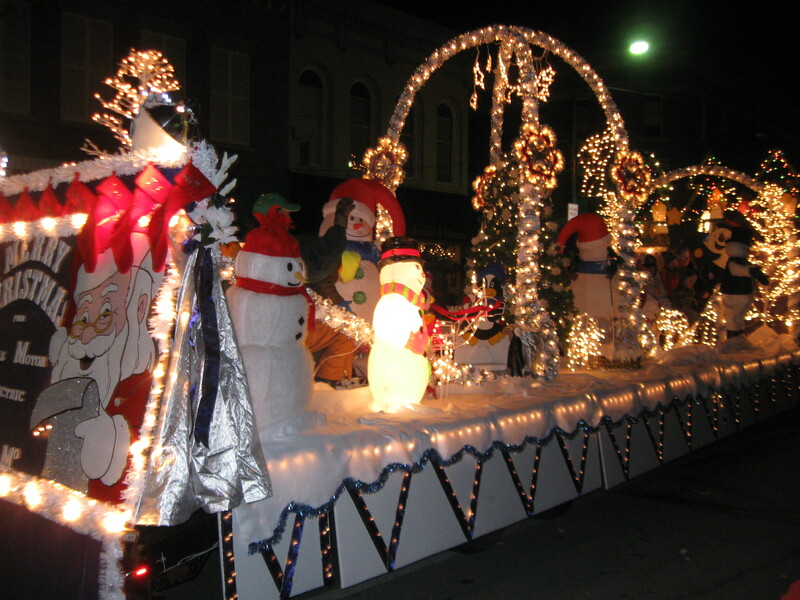 It is the largest parade in the entire Southwest Missouri area. Awesome time and thousands come to see the over 200 entries every year. 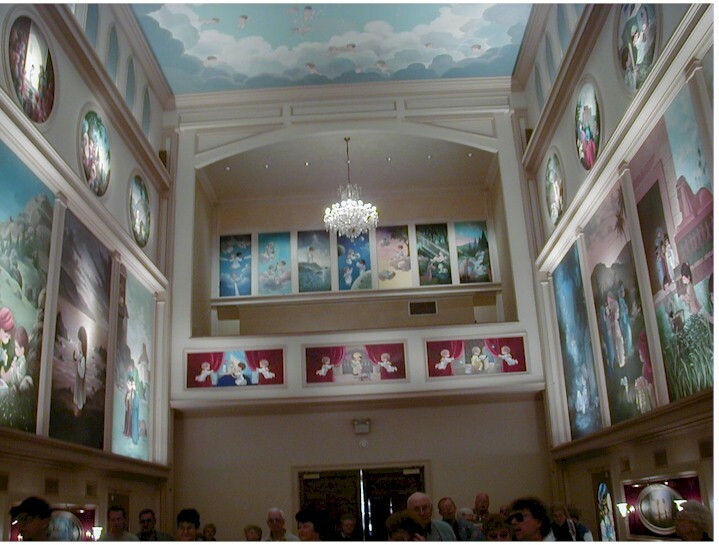 Carthage, Mo is also so blessed to have the Precious Moments Chapel here. Sam Butcher is a famous artist and found a beautiful piece of Land just south of town and built his world famous chapel. I really enjoy it and it is one of the prettiest places I have ever seen. Well I hope you can tell, I Love living in Carthage, Mo. The Maple Leaf City. I live in a town of 12,000 called Carthage, Mo. We are about 15 miles from Joplin, Mo and 60 miles from Springfield, Mo. We are small but we have a good business community. A friend of mine decided she would like to start a leads group for business people to generate leads for each other. She attended a group in St. Louis that owns the territory for that group and was told that Carthage, Mo was too small and that it would never work. She did not take their advice. Carthage Business Connection was a result of this trip. We met once per month on a Thursday morning. We had it at a business who donated their space and it was a nice place to do it. We had up to 25 attend but averaged 15. We always had a time of fellowship and then announcements. The key was how we generated leads for each other. Each person in attendance would have a minute to talk about their business and what kind of a lead they were looking for. A minute doesn’t seem long but it was adequate. After this we had a featured business presentation. Each meeting would feature one of the businesses and allow them a 10 minute presentation about their product or service. This business also provided the door prize for the week. After this we had a lead exchange. We had a slip of paper that you could fill out with all the information about who the lead was, what they were looking for, contact info, and your info in triplicate. After everyone filled these out, one copy went to the receiver, one went to the giver, and one went in a pot for the drawing. If you did not have a lead, you did not get a chance at the drawing. This was a good system and it did well. In the first year the group generated 1.5 million in business from leads. That is a Networking Success Story! Kingdom Business Journal is starting the KBJ Network. This will be a networking (leads) group for Christian business people. We are starting our model site in Springfield, Mo and plan to expand with meeting all over the 4 state area. If you would like to find out more about it, visit our site. If you would like information about starting a group in your area contact me. Marketplace ministry with RED HEADS!!! 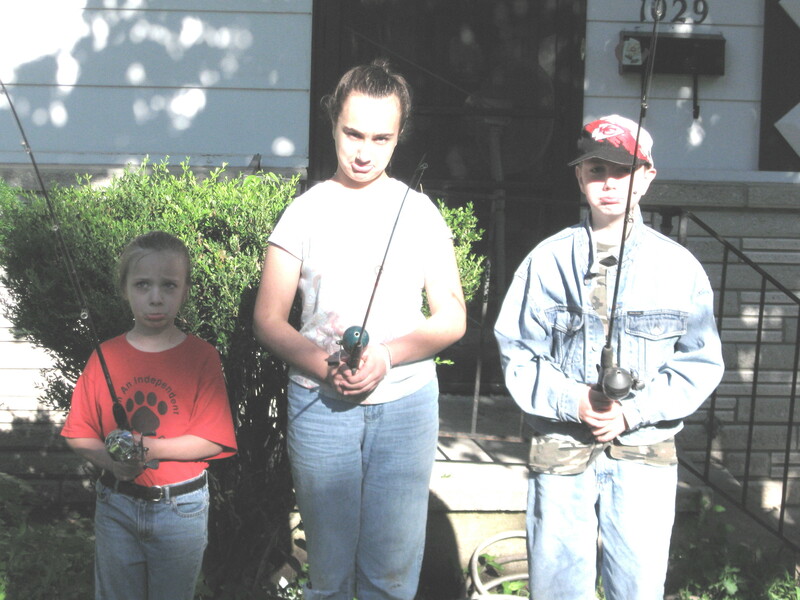 Saturday Morning was the annual FREE fishing day at the lake. It was cancelled due to Spring River overflowing and flooding the park. Needless to say I had some disappointed kids. So as a dad, what can I do to make it up? MONOPOLY!!! 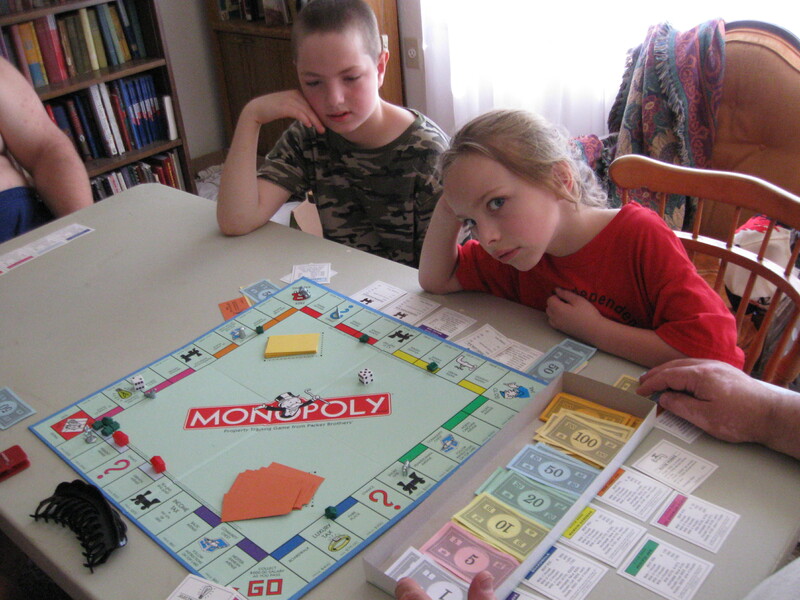 Monopoly is not fishing, but we had a good time anyway. MARKETPLACE MINISTRY with RED HEADS!! ACOUSTIC MUSIC FESTIVAL – Our little town has an annual Acoustic Music Festival on our town square. It was a good time. We took our lawn chairs and dinner and listened to the bluegrass and gospel music. Emily even got me out on the street to dance. It has amazed me at the places I can run into marketplace ministers. Let me introduce you to the Walker Family, REDHEAD EXPRESS. THE WALKER FAMILY a.k.a. The RedHead Express are equally at home playing straight forward bluegrass as they are playing their own unique renditions of old timely and gospel . This wholesome family showcases their four young daughters’ beautiful harmonies, original songs, and increasing musical maturity while mom and dad add vocal depth, backup, and guidance to the ensemble. Three talented young boys at the end round out the family band. Audiences are wowed by the energy, maturity and skill level of this young family. It’s fun to watch instruments change hands, leads take turns, and just watching a family interact on stage is a rich, rewarding experience. The Walkers are doing what they love…together. THEIR JOURNEY BEGAN in the fall of 2006, when they were first introduced to the world of bluegrass by their teacher and mentor, Jason Norris, of Bearfoot Band. With the help of Voice Coach/Producer, Kathy Chiavola, the Walkers have rapidly excelled and become a polished, professional bluegrass band. After spending about a year playing all over Alaska, the family unanimously agreed to rent out their new dream home for a bigger dream of following their love of music. They sold all their belongings, bought an RV, and headed south. Alaska is still home, but they yearn to learn and grow and share their music. 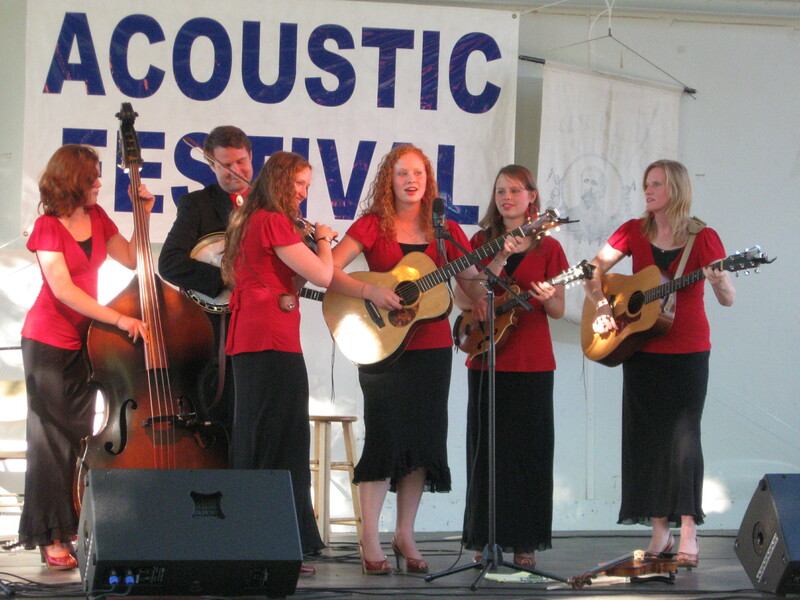 THEIR FIRST TOUR out during 2007/2008 was focused mostly on the south, where the heart of bluegrass is, with overwhelming success. They enjoyed showcasing in Virginia at Floyd’s Country Store and the Carter Family Museum; Leanna Bluegrass in Nashville; The Palatka Florida Bluegrass Festival; the historic John C. Campbell Folk School; Country Roots Radio Show for WCQS in Asheville, North Carolina; and countless Opry Houses for bluegrass organizations in Georgia, North and South Carolina, and Texas. The band also spent two months in Nashville, studying with Kathy Chiavola. Kathy also produced their latest Demo CD, which is the beginning of a new full length CD to be released Winter 2008. Expect to hear several new originals written by Kendra, the eldest daughter. 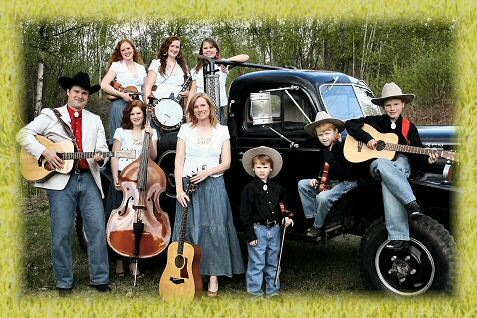 REDHEAD EXPRESS is excited to share their love of music and family! They can tailor their show to your needs, playing traditional bluegrass, old timey gospel, or a variety show. In the right venue, they’ll even get out on the floor and flat foot with the crowd! 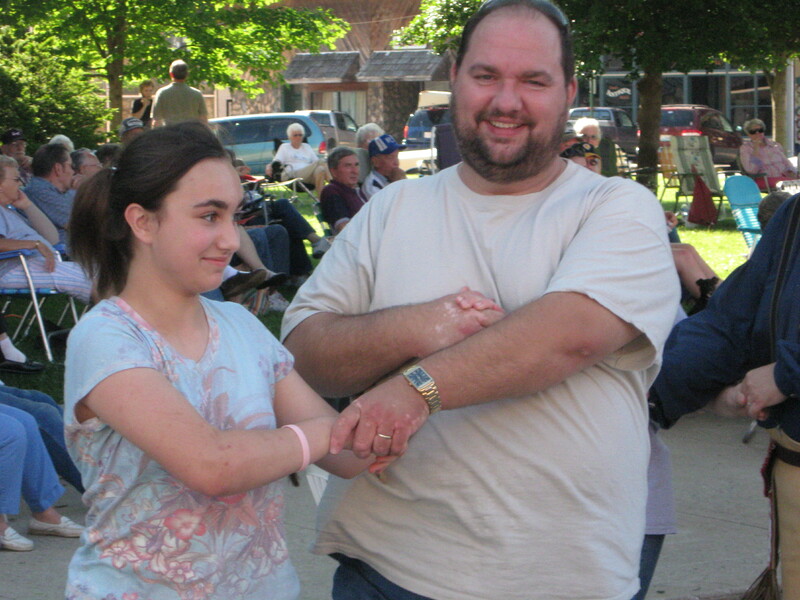 The Walker family is committed to sharing their love of traditional Appalachian and bluegrass music with children. They are members of IBMA and support the Bluegrass in the Schools program through their own workshops for children. I had a chance to visit with Brett and Apryll Walker and find out more about their journey. They are truly an example of a marketplace ministry. He asked me if I enjoyed the performance. I told him that I loved it. They mixed the bluegrass style with gospel. It really was awesome. I told him that I was editor of the Kingdom Business Journal and that we teach Kingdom Principles for success and ministry in the marketplace; and, that he was a great example of it. Sharing the gospel through bluegrass music. AWESOME! I found it interesting that Brett also has a passion for buying and selling real estate. 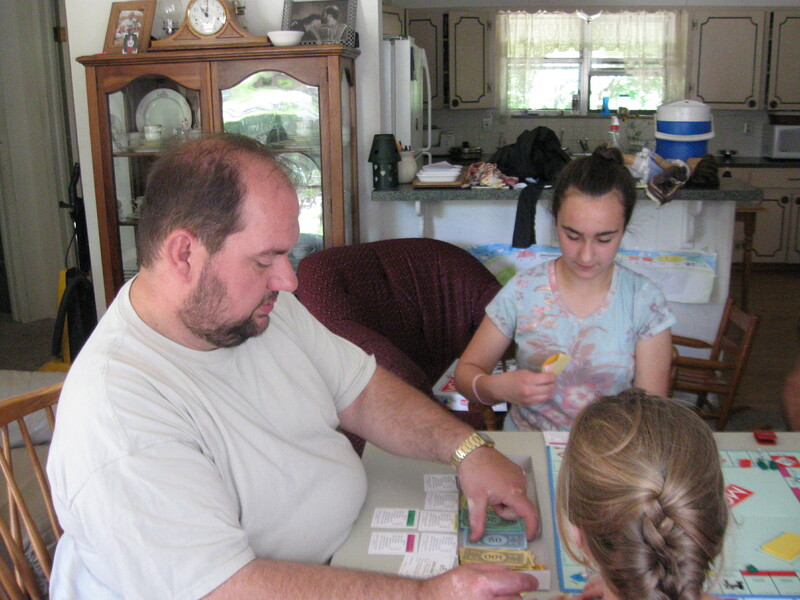 As a way to help support his family of 9, he even has students who he teaches buying and selling techniques through telephone and on-line coaching. I love an Entreprenuer. Only 2% minister behind a pulpit. That leaves 98% of us to minister in the Marketplace. No matter what your marketplace, you can minister there.